backlog in this fashion or has a salesman running the backlog is not long for this world. of scrap is really about $ 1.00 lost factoring in labor, electricity and overhead. A medium scale extruder puts out about 500 pounds an hour. What would you do ? It's also best practices to have a few dummy orders in the backlog to both act as a cushion for breakdowns and allow for opportunities. 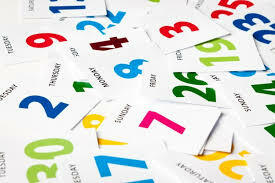 avoid setup scrap instead of running it as a stand-alone 3 weeks from now. Distant secondary considerations are width and thickness changes ( there's the central theme of avoiding scrap again ) followed by pigmentation. Cleaning out after colors is time consuming and messy. The line must be shut down, purged, what is called the screen pack / breaker plate must be changed. The ordeal is followed by an expensive, frustrating waiting game while the remnants of the color clear out. Back in the day, we had a shrewd customer who went out of his way to pay his bills every Saturday. A check for all invoices in the week would show up like clockwork on Monday morning. Why ? To tempt the film extruder to deviate from fundamental priorities. Of course, there are justifiable exceptions but they are few. Re-work of returned or defective product or doing an occasional favor for a good customer who is out of film and shut down. Are you wondering where is our proof that first-in-first-out doesn't work ? That's easy. The outfit we sold out to in 1984 ran orders in the sequence received. It took them about 3 years to declare bankruptcy. Visqueen is another word for construction and agriculture, or "C & A" film. Visqueen, like "Frigidaire" and "Kleenex" is an example of what linguists call a secondary meaning or what happens when a brand becomes so commonplace that it is substituted for the original meaning. Click here for a history. Visqueen is used for non-critical applications not just on construction sites and farms. 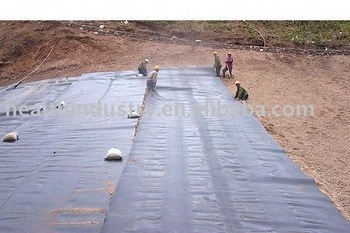 It is the lowest end of the blown polyethylene film market. Any PE resin which can be extruded into blown film will do. Cheating on weights and measures is commonplace. Full gauge and width is an exception and nobody cares. Visqueen is often used to make makeshift greenhouses, but it will not last long due to degradation from UV rays. It is commonly sold in 100 foot lengths in widths from 10 feet and wider in natural and black. 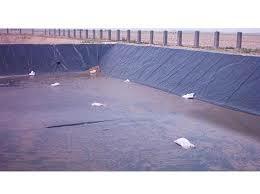 To create large pond liners, you have to splice big sheets of Visqueen film together. In the olden days, they used to roll up dynamite fuses in the film and light it to make a seal. The largest blown film line in North America is located at Poly America in Grand Prairie, TX. Although Poly America's roots are in C & A film, their mainstay is private label trash bags. The shortest route to a good sustainability scorecard is source reduction. New resins get the job done using less wall thickness in packaging applications. There is a definite trend towards using less, albeit slowly. So what is holding back adoption of thinner packaging even after the efficacy of a thinner package has been proven through drop tests and shipping tests ? Consumer will percieve the product as being cheaped out if the packaging is thinner. Marketing assumes this is the case without focus grouping or test marketing. For example, a very green manufacturer of organic granola who hates plastic got cold feet about using a thinner sealant layer. When you get down to brass tacks, it's not worth taking a chance at point of sale. It's also not worth taking the chance that the packaging will fail during shipment. Seriously, what is your motivation to sponsor using less packaging if it fails ? If it fails you get blamed and lose your job. We recently reduced the thickness of a frozen food bag to 3.5 mils from 5 mils. When we asked them why they were being so conservative and not cutting the gauge to 2.5 mils, they said they were happy enough and were not interested in further reductions due to the aforementioned fear factors. If a resin is a bad actor at 3 mils it will not work at 5 mils either. If the right resin is matched to the application, less is needed. It's that simple. Many of these resins cost more per pound than a general purpose resin. If the extruder cannot pass along the cost to the end user, what is the incentive to inventory the upmarket resin ? Sadly, the custom of selling film by the pound impedes progress. Even after showing the math on how much less the unit cost would be through more expensive thinner film, buyers often do not agree because they are inured to price per pound. Most extruders live and die by pounds shipped, so there is not much motivation to push downgauging or lightweighting. All parties would benefit from a more expensive plastic film per pound offset by gauge reduction. Asking for " regular poly" film is like asking for a regular car, beer, soda, tape or wine. The variation within the species of polyethylene film resins has evolved because different PE resins are made to do different jobs. Just as one would not use a subcompact car to do the same job as a passenger van, it does not make sense to use the same PE resin made for dry cleaner bags to package 50 pounds of rock salt. We do have a middle of the road general purpose clear LDPE sheet film called GPC http://www.brentwoodplastics.com/data_sheet_gpc.pdf#zoom=100. While it is warranted to be only a simple low cost general purpose plastic film, people continue to try to cut costs by using general purpose clear for applications which require specific properties. Bread bags must have a very low coefficient of friction ( COF ) to load and release without jamming up. General purpose clear is not a high slip / low COF poly film. Potato bags must be stronger than bread bags for obvious reasons. The bailer bags which hold 10 or so potato bags must be very strong and low slip for stackability. Ice bags and IQF frozen films must have EVA or metallocene for low temperature stability and strong seals. Shipping sacks, like bailer bags, must be made from a more durable resin usually having a lower melt index known as a "fractional melt" for durability and must be low slip. GP clear is not strong and the bags slide all over the place. Lamination sealing layers must have a fast hot tack achieved only with the addition of EVA or metallocene. Bank deposit bags must have zero slip or the pressure sensitive tape will not adhere to creat a tamper evident seal. Last week we had two inquiries for "regular poly" to be used in prolonged and direct contact with human skin in medical devices. We had to explain that different rules apply for medical applications. There is no such thing as regular poly. It is best to tell your PE film supplier what you are doing with the film, then continually test as you scale up to determine suitability for any end use. PE films - Why is PE film so inconsistent ? 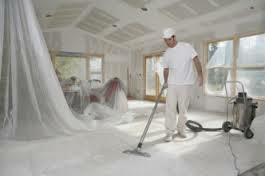 Polyethylene blown film does not have to be inconsistent. If your low priced PE film is inconsistent within the same lot, your blown film supplier probably has used off-grade resins to save money on their major cost: PE resin. The thinking is "the customer won't know the difference." You do know the difference because the film doesn't seal or shrink like it did 2 hours ago after you readjusted the packaging machine settings for the third time today. You could deal with it if the film was just consistent within the same pallet. Shrink film is a favorite dumping ground for extruders. Just about any PE resin will shrink, so it's tempting to blend in repro and literally floorsweep. Problem: If you are buying printed film, laminations or bags, you are at least one step removed from the film supplier. You have no way of knowing if you are getting film from the same source every time. Even if the film does come from the same source, there is a good chance their extruder has switched resins to lower cost. You don't have to live like this. When you get sick of it, give us a chance to prove continuity of supply in blown film is available.